I love, love, love to read! 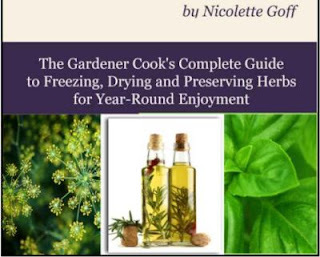 Right now I am reading, How to Preserve and Enjoy Your Herbs by Nicolette Goff. Yes it's FREE! I love to look for free books to read. Sometimes it even dictates my next book. Blend all the ingredients in your food processor until smooth. Use fresh or freeze in ice trays then transfer to freezer bags. Don't forget to label the bag and date it. If you have the time you should definitely browse the Ebooks they are wonderful and have a whole new world just waiting to be explored. There are lots of free Ebooks to chose from check hem out you won't be disappointed.